"During the 1970s, forces were at work to salvage the US film industry. In 1971, a new law allowed film compa­nies to claim tax credits on investments in US-made films and to recover tax credits from the 1960s. This legislation not only returned hundreds of millions of dollars to the Majors, it also allowed them to defer tax on subsidiaries' activities. In addition, a tax-shelter plan allowed investors in films to declare up to 100 percent of their investment as exempt from taxes. The latter pro­vision helped successful, offbeat films like One Flew Over the Cuckoo's Nest (1975) and Taxi Driver (1976) to be made. The tax-shelter provision was rescinded in 1976, and the studios' tax-credit benefits were abolished in the mid-1980s, but they had been crucial to the industry's recovery. "Although many of the new generation of Hollywood directors -- especially the movie brats -- considered them­selves artists, few wanted to be esoteric. Some made not just ordinary hits but films that broke records year after year. The top-grossing films of 1970 and 1970 (Love Story, Airport, M*A*S*H, Patton, The French Connection, Fiddler on the Roof) had yielded between $25 million and $50 million to the studios from US box-office returns -- strong profits, but lackluster in comparison with what was to come. The Godfather ushered in an era of box-office income on a scale no one had imagined. The following figures are rentals, not box-office grosses; the rentals are the revenues returned to the studio after the theaters have taken their percentages of gross ticket sales. "1972: The Godfather, directed by Francis Ford Coppola, returned over $81 million to Paramount in the US market. Two years later, its global rentals and TV sales amounted to $285 million. "1973: William Friedkin's The Exorcist surpassed The Godfather's US rentals by $3 million. 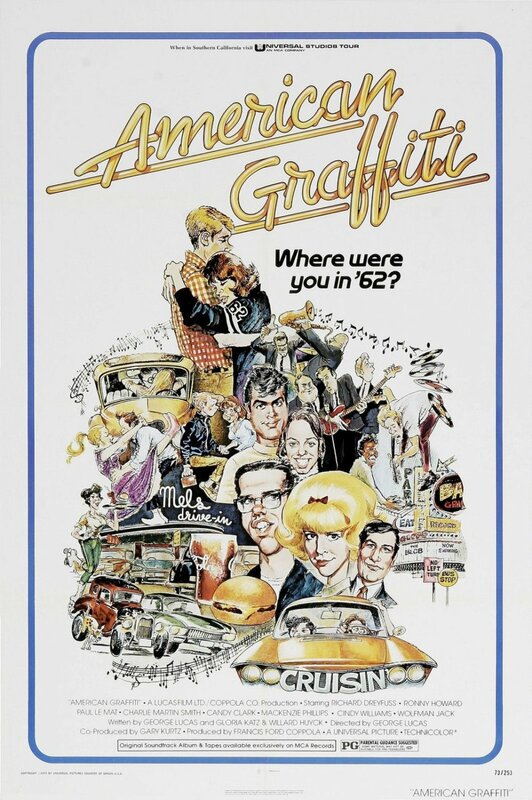 "In the same year, Universal reluctantly released a small-budget film called American Grafflti, directed by George Lucas; it reaped over $55 million. "1975: Jaws (Universal), directed by Steven Spielberg, earned $130 million in domestic rentals. "1976: Rocky, made without major stars and by little-known director John G. Avildsen, earned United Artists $56 million at the US box office. "1977: Steven Spielberg's Close Encounters of the Third Kind (Columbia; $82 million) and John Badham's Saturday Night Fever (Paramount; $74 million) generated very healthy profits, but records were broken again by George Lucas's Star Wars Episode IV: A New Hope (Fox). Costing $11 million, it began as a summer movie, ran continuously into 1978, and was rereleased in 1979. Star Wars earned over $190 million in US rentals and about $250 million worldwide, on a total ticket sales of over $500 million. "No cluster of films had ever made so much money on initial release. Studios on the brink of bankruptcy found their profits hitting unprecedented levels. Richard F. Zanuck, the son of long-time 20th Century-Fox boss Darryl F. Zanuck, produced The Sting and Jaws. He real­ized that 'I had amassed more money with one or two pictures than my father had in a lifetime of work.' During the boom of the early and mid-1970s, most Majors had at least one top hit, so the industry maintained its stability. Overall rentals from domestic and foreign release increased about $200 million per year, reaching $2 billion in 1979. Television networks and cable companies began paying large sums for rights to broadcast the new block­busters. The 1970s resurgence catapulted several filmmak­ers to fame, with three becoming major producer-directors. 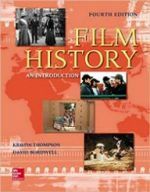 "The 1970s blockbusters made producers far less willing to let filmmakers experiment with plot, tone, and style. During the recession of the early 1970s, studios welcomed even a small hit: directors were not expected to create big pictures. By the late 1970s, however, companies did not want to risk money on untried subjects or approaches." It looks like a great book but the price is way overboard. Perhaps a tax credit for the book is in order. $94.00? Wow.